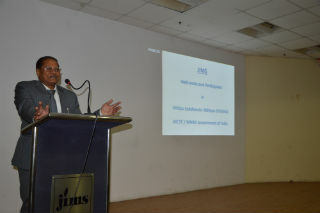 To promote cashless transactions and spreading awareness about various modes of online payments, On 21st December 2016, JIMS organized a workshop as part of Vittiya Saksharta Abhiyan (VISAKA) of Ministry of Human Resource of Development (MHRD), Government of India. 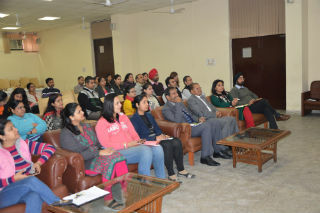 This workshop was the first in a series to spread digital literacy. 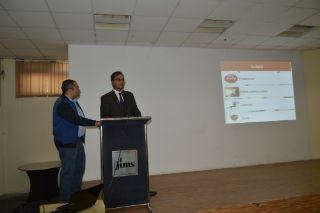 Workshop was attended by all the staff members of Jagan Institute of Management Studies, Sector-5, Rohini. Topics like financial inclusion, payment through USSD, Pre paid cards, Debit/Credit cards, UPI, Mobile Wallets and AEPS were discussed and small demonstrations were also given. 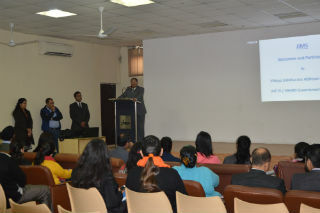 Resource persons for the workshop were Mr Akshay Kumar (Chief Technical Officer), Mr Devesh Lowe (Asstt Professor) and Ms Yogita Sharma (Asstt Professor). More workshops will be organized in the month of January 2017 for students, to encourage them in assisting their parents and neighbours for using digital payment modes.